Hurricane Irene devastated the northeast last year and many impacts are still evident today, 10 months after the fact. 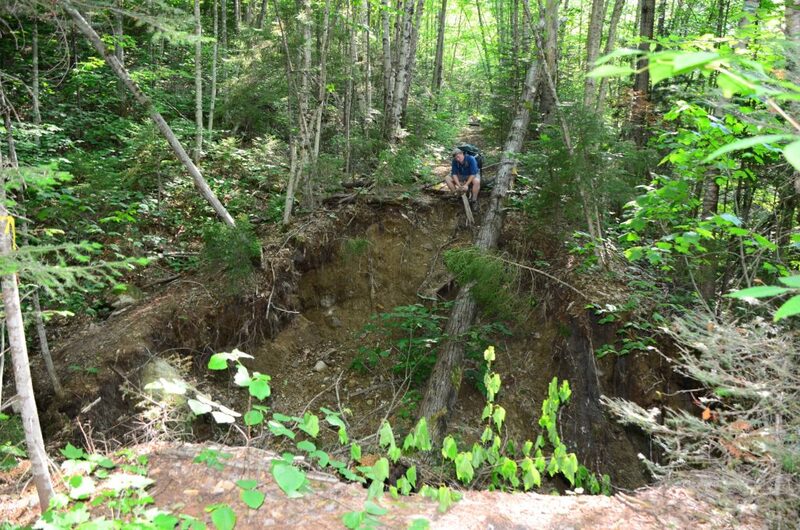 Dozens of landslides occurred in the High Peaks region of the Adirondack Park as a result of Irene. 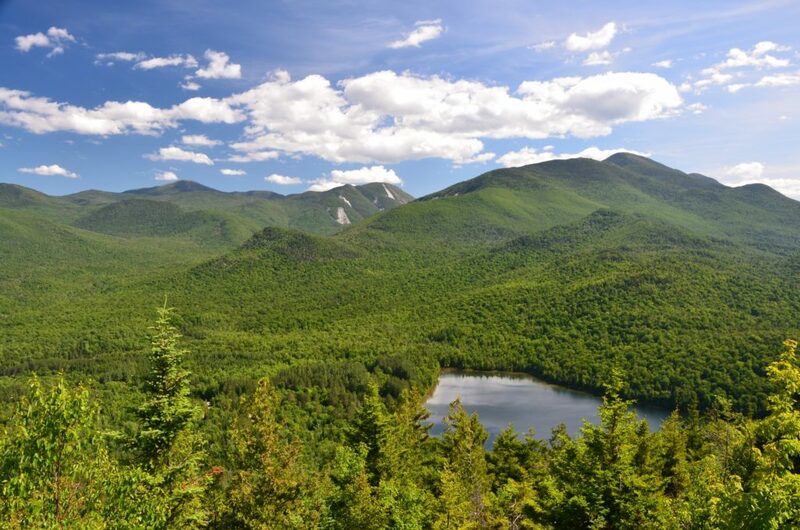 In fact, trails in the High Peaks Wilderness Area (within which the New York Remote Spot is located), were closed for a while last year because the damage was so severe. Evidence of landslides in the Adirondack High Peaks region is still visible today — look at the bare spots along the slopes of the mountain in the background..
Our drive to the trailhead for the Vermont Remote Spot was halted when we encountered the road wash-out below. We had to backtrack out of the Green Mountain National Forest and enter from the opposite direction – about an hour detour. 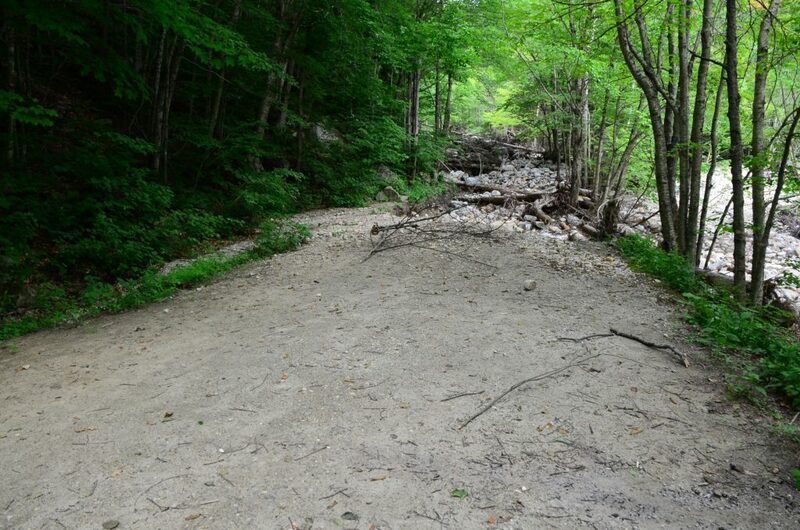 The Kelly Branch Road into the Green Mountain National Forest is still completely washed out. Our latest encounters with Hurricane Irene impacts was along the trail system into the New Hampshire Remote Spot. Several portions of the trail system along the Pemigewasset River were washed out and the trails were rerouted. 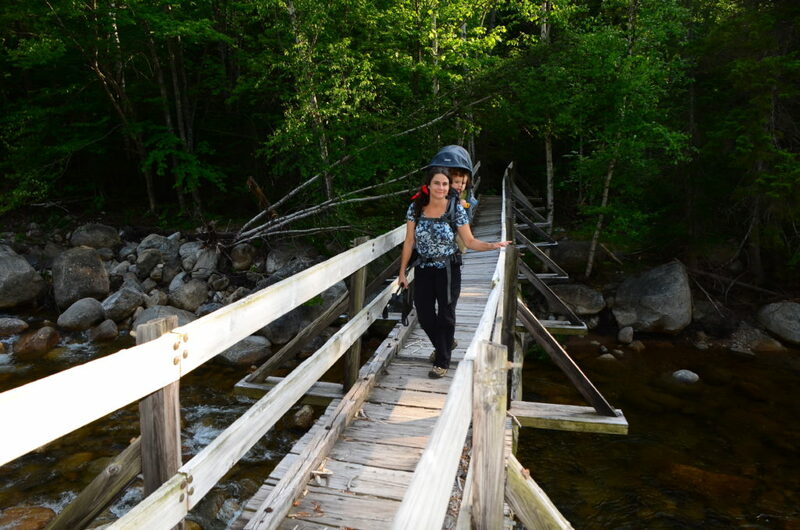 Then, after hiking over 3 miles towards the Remote Spot, we read a sign informing us that bridges over the Pemigewasset River were washed out and to ‘plan our trip accordingly’. We forged on and found the East Fork bridge intact. Several spots along the trail system into the New Hampshire Remote Spot were completely washed-out.